The easiest way to make egg whites disappear? In an omelet or frittata (or go big with a strata). Make meringues! Try a chocolate version once you've mastered the original. And then try all its variations—on top of a pie, as a pavlova, as the world's best cake. Or try your hand at making delicate French macarons. Whip up a batch of pillowy marshmallows—and then transform them into Mallomars. Nougat is only three ingredients away (and one of them is egg whites). If you really went crazy with the egg yolks, make an angel food cake! This recipe uses a whole dozen egg whites. Use them to bind together thick clumps of coconut for dreamy macaroons; or chocolate, hazelnuts, and almonds for aptly named brutti ma buoni (ugly but good) cookies. Toss nuts with an egg white and spices prior to roasting for an extra-crispy coating. Or mix an egg white or two into your granola before baking (especially if you like clumpy granola). Or use them to give a semifreddo a delicate texture. Shake an egg white into a cocktail like a whiskey sour (or this apple brandy fizz). Beat an egg white or two into stock to clarify it. Financiers have egg whites (and finely ground nuts) to thank for their tender crumb. Whisk an egg white with a little water and use it as a wash for other baked goods—especially for scones. Freeze them! 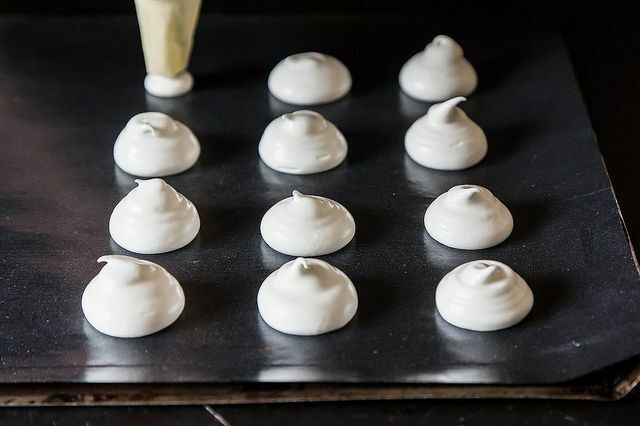 Set aside an ice cube tray for all your spare whites and save them for a rainy day (or a meringue party). What's your best technique for getting rid of a heck of a lot of egg whites? Tell us in the comments. The marshmallow recipe the article links to doesn't use egg whites. Any other versions that do? Ummm...no. Followed your link and all I see are gelatin, water, sugar, brown rice syrup, salt, vanilla, confectioners sugar and cornstarch. Still no egg whites. Thank you for finding one! It's surprisingly hard to find a recipe with egg whites that is also well reviewed.